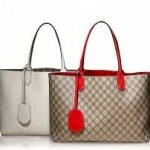 Home » Style » Fashion » Where are the Bargains? I am not cheap. At times, in fact, I spend way too much money on things such as meals at restaurants, shoes and handbags. Yet, I always delight in a bargain. Seeking one out and finding it is very rewarding. And where do I find these great bargains? At department store sales, discount stores such as Marshall’s and T.J. Maxx, and flea markets and yard sales. It’s a balancing act; sometimes I’ll blow a bunch of cash, and sometimes I’ll choose to be frugal. I can justify spending more on things I know I’ll use or wear a lot, especially things that are not easily replaced. For example, when you find a great pair of jeans, stick with it. If you “live” in jeans, as I do, and you find that certain cut that flatters your figure, don’t drive yourself crazy trying on pair after pair of jeans, from the sale rack. Go to the store that carries your favorite style/cut, grab a pair or two, and head to checkout without even looking at the price tag. It will even out in the end; that pair of jeans is a staple of your wardrobe. They will be worn until they’re frayed and faded, and their use will justify that higher price tag in the end. So, where does bargain shopping fit into the picture? Basically, for anything that’s not as finicky as a pair of jeans matched to a female “derriÃ?Â¨re”. Search home sales at department stores for dÃ?Â©cor and kitchenware; before you go, check the newspaper for savings coupons that will slash prices in addition to already reduced prices. Hit Marshall’s and similar stores for high-end brands for less, but don’t expect to find what you’re looking for every time. Stores like this can be gold mines one visit and dead-ends the next. This type of store provides “hit or miss” shopping because their stock is unpredictable. If you make repeat visits to check on merchandise that changes weekly, you will find some wonderful bargains, as well as some unexpected treasures. These stores are great for things like picture frames, scrapbooks and photo albums, kitchen gadgets and various other decorative items. You will also find high-end greeting cards, note cards, gift wrap and gift bags for a fraction of their usual cost. Yard sales and flea markets can also be very rewarding when shopping for bargain items. You’ll never know what you’ll find. A few years back, when I was doing a lot of arts and crafts projects with my kids, I happened upon a moving sale. The woman of the house was a crafter, or former crafter, trying to sell some of her accumulated materials. I was thrilled to find a very large box filled with unopened spools of ribbon of every width and color. It was a steal at four dollars. Years later, some of those spools remain unopened, in my craft room. Keep in mind your current projects and interests, and you might find some great buys at sales such as this. Here’s another tip: when shopping, think ahead. If you know your kids will be invited to several birthday parties over a given stretch of time, grab age- and boy/girl-appropriate gifts when you see them on sale. Look for “Buy one, get one free” deals at places like Toys ‘R Us. Stash away games and toys for future events. You can even make it fun: build up a little inventory and let your kids “go shopping” at home, when preparing for a birthday party. Thinking ahead can also mean buying seasonal items when a season is over and merchandise is usually discounted 50% or more. Holiday gift wrap and decorations, Halloween decorations, as well as spring holiday merchandise like Easter baskets, can be purchased for greatly reduced prices and put away for the following year. You’ll thank yourself when the next holiday rolls around and you’ve already done a good portion of your necessary shopping. Again, it’s all about balance. Bargain recommendations such as those shared here, paired with occasional splurges on those things you “just can’t live without”, will make you a sensible and successful shopper.